While visiting my old alma mater, Ratu Kadavulevu School in Lodoni, Tailevu, the illegal Minister for Works and Public Utilities, Colonel Timoci Lesi Natuva recently expressed concern at the poor state of the RKS kitchen and also on the food that is being served to the boarders. According to news reports, he stood in the dining hall and witnessed the preparation of lunch for students. Natuva told his officials both the kitchen and the food was unacceptable. He has called on his senior officials to find immediate solutions to the issue and negotiate with the Education Ministry on how maintenance work is carried out for the kitchen. Last term RKS was closed down by the Health Ministry for not meeting OHS standards. We may recall that I wrote that one of the reasons the Dictator carried out coup was to suppress fraud and police investigation into falsification of LPOs and Invoices by the military. The Auditor-General had also wanted the Director of Military Resources investigated for possible fraud. Military sources at Queen Elizabeth Barracks say that the financial abuse took place under the watch of two Directors of Military Resources – Natuva and Esala Teleni. 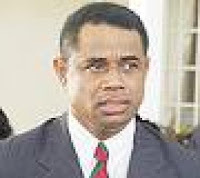 The sacked police commissioner Teleni was the Director of Military Resources at RFMF Strategic Headquarters, Berkerley Crescent from 2000-2003. When Teleni was away at Defence College, Canberra in 2004, Natuva replaced him as Director of Military Resources in January 2004 to January 2005 before being posted to Iraq in 2005. Teleni again took over in January 2005 as Director of Military Resources then as Chief of Staff Strategic Headquarters from April 2005 to December 2006. Teleni and Natuva were fully responsible with the dictator for the oversupply of all goods in anticipation of the 2006 coup. Soldiers who were ordered to carry out the treasonous coup claim that up to three containers of these oversupplied goods were still in front of QEB Logistics Support Stores that was never explained to them, which had made them all suspicious that the dictator and his conspirators might be planning a coup against the SDL-FLP multi-party government. Telen’'s resignation from the police (because of corruption) may also be seen as Bainimarama “covering his arse and sacrificing his bum boy”, they said. They claim that in their opinion Teleni, apart from the dictator, was the most corrupt officer known to them – “a free chow”. According to RFMF Act, “All officers occupying Government quarters of whatsoever type or self contained flats will be required to pay rent at the rate of eight percent (8%) of basic salary with maximum limits of rent for different grades of quarters”. The Auditor-General’s unpublished Report for 2006, suppressed by Bainimarama/Teleni/Khaiyum states that the audit of the RFMF’s quarters records at the Queen Elizabeth Barracks revealed that some officers occupying government quarters were not paying any rent. Teleni, along with former Military spokesman Lieutenant Colonel Mosese Tikoitoga, were among the defaulters. The Report cites: “22348 Esala Teleni Col. Strategic HQ 07/03/02 3,922.92”. Teleni, who went on to become the Police Commissioner and also chairman of the Military Council, was unwilling to pay the rent through salary deductions. Teleni was also identified as one of the major culprits in signing invoices in excess of the authorised limit: 22/11/05 Vinod Patel, Captain Esala Teleni $5,000 (limit) $9,777.75 (Paid); 22/11/05 R.C.Manubhai, Captain Esala Teleni $5,000 ($ 8,090.44); 22/11/05 Mass Stationeries, Captain Esala Teleni $5,000 ($9,176.50); 22/11/05 Wingate Hardware, Captain Esala Teleni $5,000 ($8,628.57); 23/11/05 Vinod Patel, Captain Esala Teleni $5,000.00 ($5,218.40); 23/11/05 Wingate Hardware, Captain Esala Teleni $5,000 ($7,302.80); 07/11/05 R.C.Manubhai, Captain Esala Teleni $5,000 ($9,840); 30/11/05 Skaffworks, Captain Esala Teleni $5,000 ($93,101); 17/10/05 Budget Pharmacy, Captain Esala Teleni $5,000 ($27,46). We are not surprised that, on assuming office as Police Commissioner, Teleni had over spent his Police Budget by a massive $17m in a period of 10 months. In November 2006, he had assured the nation and the world, while deputising for Bainimarama who was “inspecting” troops in the Middle East, that there was no danger of a coup in Fiji; a month later a coup happened. As a result both, Teleni and Natuva, escaped police investigation into the falsification of LPOs and Invoices which happened under their watch as Directors of Military Resources. Now, the cooks at RKS are being told by Natuva on how to cook better food – he should know, for along with Teleni, the two had been accused by the Auditor-General of “cooking the military budget books”. Well Jake, guess who was the fool who collapsed the economy. Timoci Rakuta should be given the Finance Ministry so he can cook up some more soup from finacial books. OK - lets see how he handles the impending crisis in the sugar industry? He will wave his magic wand and pronto all is well and good. Because he is the only sugar minister that has support of the military goons. Chaudhry could have used them when he was part of the team. But he can only make noises to show the farmers he is doing something for them. But it is FB who has finally demonstrated that he will take the mischief makers by their balls once and for all. Ratuva should take over the Sugar portfolio and cook up the books. That shoulld turn the industry around. Can cook all they want for as long as they wish - because like Master Chef - others will ultimately decided the quality & accuracy of their offerings. Be under no illusion about what possibly lies ahead in this sector? right now bears all the hallmarks of an impending social tragedy. Can't earn enough to sustain even a basic existance money from sugar - what then? Not talking a few isolated families here - last inclusive figure quoted was 100K (overwhelming Kai Dia). Been a long time in making - but coming it is.